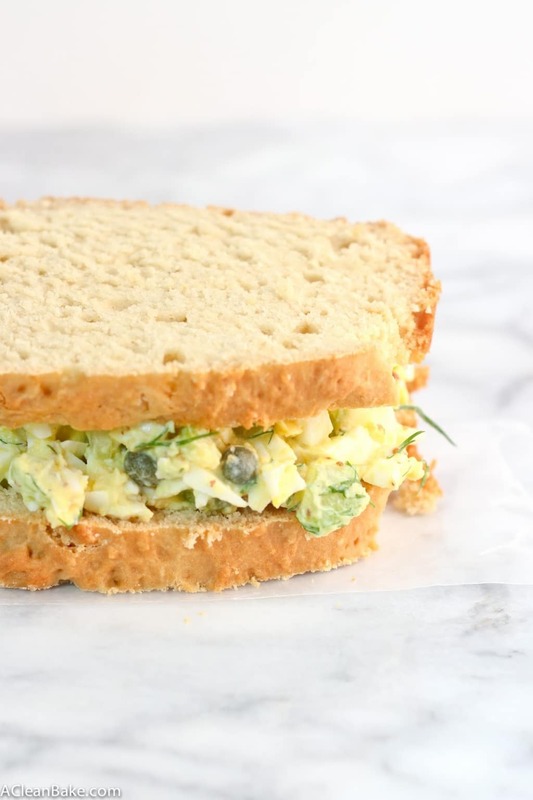 If you’re looking to spice up your sandwiches, you can’t go wrong with this dill and caper egg salad! It’s zesty and creamy, yet doesn’t require mayonnaise. Tons of flavor and texture in every bite! Personally, I was more the American-cheese-on-white-bread-with-butter-every-single-day-for-6-years kind of kid. That’s just how I roll. Since entering the workforce, um, you know, a few years ago (move on.) I have become obsessed with bringing awesome lunches. Those kids who are eating all those Insta-Perfect box lunches can’t honestly appreciate them as much as I would. Please, Weelicious, make me lunch? Since she hasn’t started yet, it’s up to me to make my own vibrant (and healthy and tasty) lunches, and I have to tell you, this egg salad hasn’t let me down yet. Egg salad may have a reputation in some circles as lame or boring or, worse, not delicious. I can assure you that, if made right, it is none of those things. It’s all about the flavor, and most people’s gobs ‘o mayo recipes just don’t cut it. Creamy does not mean flavorful, flavor is what produces, well, flavor. So, in this recipe, I cut out the mayo, and replaced it with tons of flavor and texture from whole grain mustard, lemon juice, salty capers, and tons of herbs and spices. 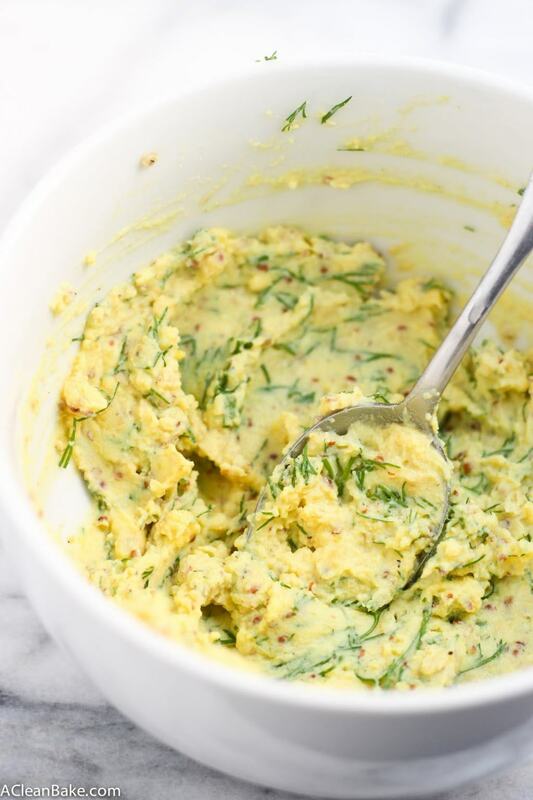 You can serve it on toasted bread (I like this one, but gluten-eaters with whom I may or may not share a home raved about this one) or on top of a salad, but straight, topped with an extra sprinkle of fresh dill, is my favorite way to devour this dish. 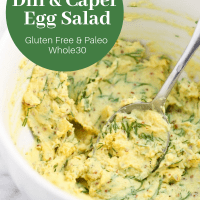 If you're looking to spice up your sandwiches, you can't go wrong with this dill and caper egg salad! It's zesty and creamy, yet doesn't require mayonnaise. Tons of flavor and texture in every bite! 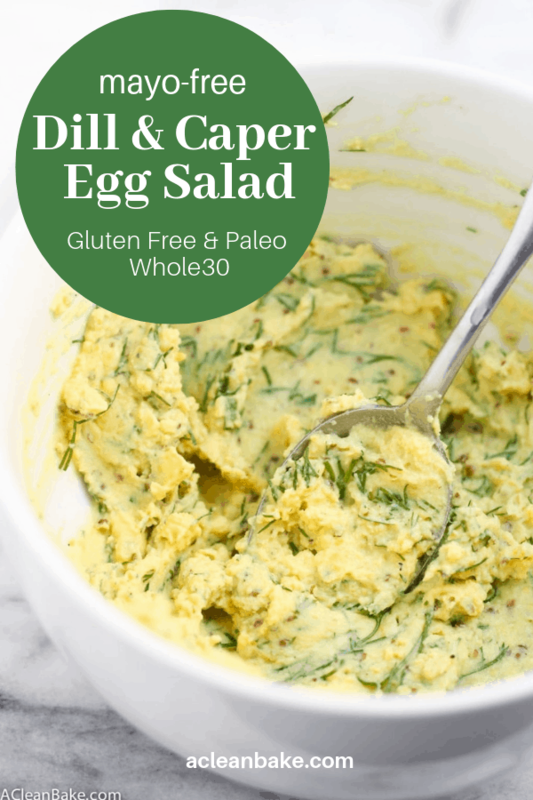 In a small bowl, toss together the chopped egg white, celery and capers. In a medium bowl, mash the egg yolks with the back of a spoon or fork until smooth. Mix in the mustard, then the oil and lemon juice. Add more oil if your mixture isn't creamy or smooth enough for you (remember, this is going to be the binding substance taking the place of mustard). Once you have the desired consistency, stir in the dill, salt, pepper, and garlic. Adjust seasonings to taste. Carefully fold the egg/celery/caper mixture into the yolk mixture until combined. Serve immediately garnished with additional fresh dill, or store in an airtight container in the fridge for up to 3 days. 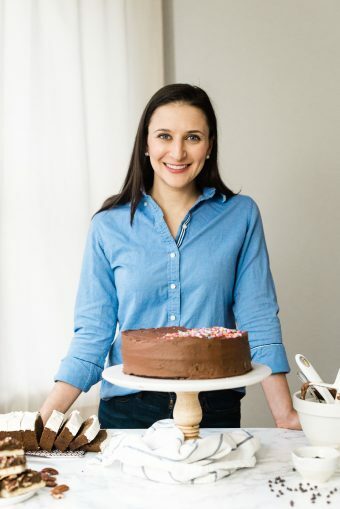 This recipe makes about 3 cups. One serving = 1/2 cup.